The chambers of the Missouri Senate in the Missouri Capitol in Jefferson City. 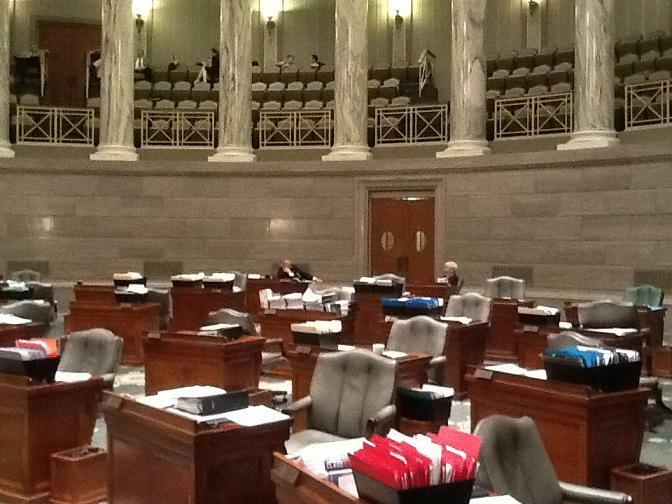 The Missouri Senate will be led by new people when it convenes for the 2013 session. Majority party Republicans on Thursday nominated Sen. Tom Dempsey, of St. Charles, to serve as president pro tem - the top position in the chamber. Dempsey still must be elected by the full Senate when it convenes in January, but that is expected to be a mere formality. Republicans picked Sen. Ron Richard, of Joplin, to succeed Dempsey as the Senate majority leader. Richard, a former House speaker, defeated Sen. Mike Parson, of Bolivar, during a closed-door meeting of the Republican caucus. Democrats picked Sen. Jolie Justus, of Kansas City, to serve as the Senate minority leader. Term limits prevented the Senate's current president and minority leader from seeking re-election this year. 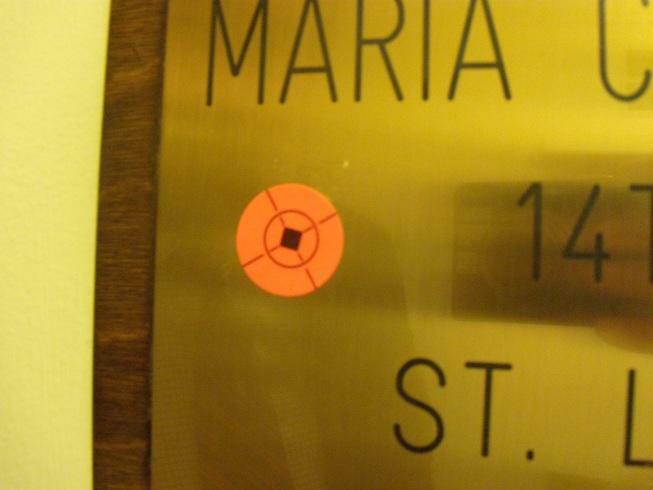 Stickers with rifle target crosshairs printed on them have been found in the office doorways of several Missouri lawmakers. They were discovered Tuesday afternoon outside the offices of five Democratic State Senators and one Republican State Representative. The stickers were twice found outside the Capitol office of Senator Maria Chappelle-Nadal of University City.